Hi, my name is Michelle Evoniuk and I am 12 years old. I am the youngest sibling and I have 2 dogs and 8 chickens. I was born in Seattle Washington. In Seattle it was very cold and rainy all the time. Something I did every year was I would go on a fairy to another island and go camping. The best part was when it would snow and you would make a snowman out in the front yard. I loved to go to a Seattle Seahawks football game when I was younger with my dad. I spent my childhood in Seattle until I was 7 and then I moved to California. I have one pet dog named Penelope. 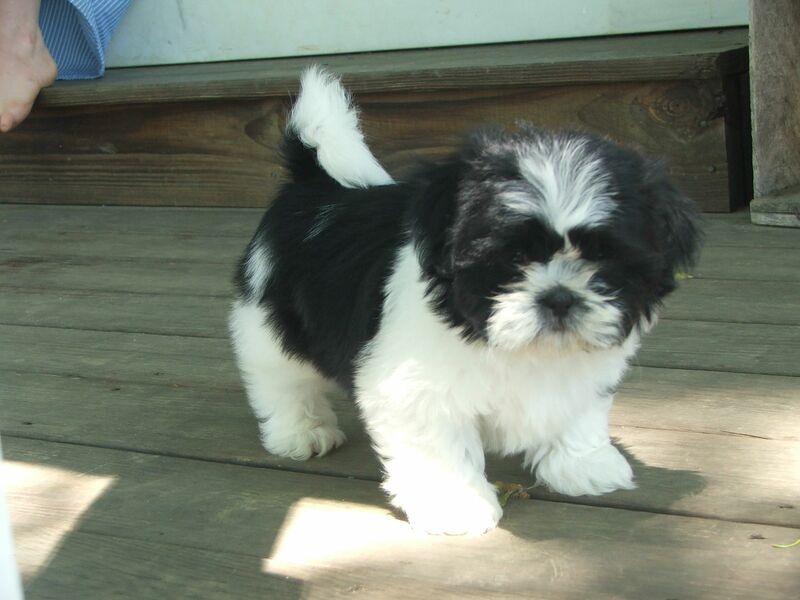 She is a mix of a maltese and shih tzu. She is 1 years old and she has black and white fur. She is so crazy but she is so sweet to. Something really cute about her is her under bite. She is very active and loves to play. She is always making me laugh and I couldn't imagine being without her. One of my favorite vacations I went to was the Bahamas. The oceans are so crystal clear and the sand is so white. We went to a place called Atlantis and there were so many fun things to do there like water slides, snorkeling, hiking, and swimming with the dolphins and so many more. It was so peaceful and relaxing there to. It was one of my favorite places I ever went to. Some of my favorite foods that I can't live without is pepperoni pizza, pastries, and hot dogs. I love to go to the aroma cafe that has the best cake and lattes. One other restaurant I love to go to to is Gino,s Pizza in Pismo beach that has the best pizza. One of my favorite sports to do is horseback riding. I've been riding for 3 years now at Foxfield riding school. I ride in a english and western saddle. I ride for fun but sometimes I do shows to. I love to jump for fun and do trail rides.